A big-deal New York restaurateur goes tipless, the Foodways Project rethinks Seattle's hottest restaurants, Shorty's survives (for now) and more. 1. 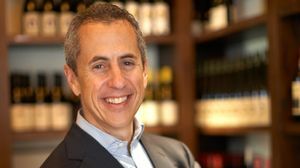 HUGE NEW YORK NO-TIPPING NEWS: All 13 of renowned restaurateur Danny Meyer’s New York establishments are eliminating tipping, reports the New York Times. Meyer’s restaurants will incorporate would-be tips into menu pricing. Servers will remain approximately at the same level of compensation they get now with tips, while back-of-house workers will get raises to help address wage inequity. Here in Seattle, no-tipping pioneers include Renee Erickson, Jerry Traunfeld at Lionhead, Matt Dillon at his upcoming Bar Ferd’nand II and Ivar’s Salmon House. Welcome to the club, Mr. Meyer! 2. REMAPPING SEATTLE RESTAURANTS: The Stranger talked to Lisa Mei Yook Woo, founder of the Foodways Project. In response to Eater Seattle’s “Hottest Restaurants” map, she created a map of 30+ Favorite Seattle Eateries Owned/Operated by People of Color. The Foodways Project is, in its own words, “an exploration of the intersection between food, identity, and power. Our mission is to undo racism through food-focused education, empowerment, and activism in a movement led by people of color.” Let’s do it. 3. SHORTY’S SAVED: At least for the time being, it appears that beloved-by-many Belltown spots Shorty’s, Rocco’s and Tula’s have been saved from the wrecking ball. Ironically, the 1891 building that’s been designated a historical landmark doesn’t even house Shorty’s and Tula’s (and it’s also pretty ugly). 5. RIP, PAUL PRUDHOMME: Cajun/Creole cooking king Paul Prudhomme died last week, at the age of 75. Here’s a lovely tribute by Brett Anderson at the Times-Picayune (don’t miss the photo gallery). NOW OPEN: Dong Thap in the I.D. (possibly Seattle’s best noodles!? ), Carnivores and Herbivores and such on Beacon Hill (both meat and vegan barbecue, open since this summer) and Montis Grill on Beacon Hill (a reportedly huge and welcoming spot from Juan Montiel of nearby El Quetzal, also open since this summer). CHEF CHANGE: The excellent nonprofit FareStart is pleased to announce that the lovely Wayne Johnson (Shuga Jazz Bistro, Ray’s, Andaluca) is their new interim executive chef.